Help the W̱SÁNEĆ Nation acquire a family canoe, in order to participate in the 2019 Paddle to Lummi this summer. 2019 marks the 30th anniversary of the celebrated Tribal Canoe Journey, an unsurpassed annual event that began with the inaugural Paddle to Seattle in 1989. An increasingly influential event, the Canoe Journey is a revitalization of the traditional method of transportation for the Indigenous peoples of the Pacific Northwest Coast and is a highly significant cultural experience for all participants, most notably, Indigenous youth. 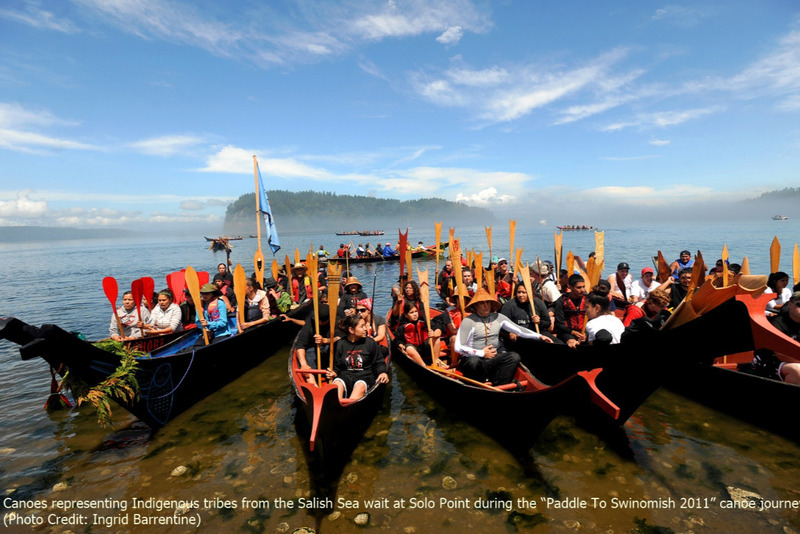 For the W̱SÁNEĆ (Saanich) Nation, on Vancouver Island’s east coast, the upcoming 2019 Paddle to Lummi Tribal Canoe Journey has particular significance. For thousands of years, the Lhaq’temish (Lummi) of Washington and the Saanich, struggled and celebrated life together on opposite shores of the Salish Sea; the Canoe Journey provides an opportunity for these families to come together once again and, in solidarity, do all they can to call attention to and to help save the deteriorating health of their beloved shared waters—and to share with their children and grandchildren their traditional ways.